BELO HORIZONTE, Brazil (AP) Defying all the doubters, Costa Rica came through perhaps the toughest group of the World Cup unbeaten and on top. ''People started believing after the game against Italy,'' he added. But coach Roy Hodgson thought his team showed spirit against the Costa Ricans, trying to break down a stubborn defense. One of Sturridge's best opportunities came in the 65th after a nice one-two with midfielder Jack Wilshere. But the forward's curling shot from the right just missed squeezing inside the far post. Costa Rica's best chance came in the 23rd minute when Celso Borges' curling free kick was tipped onto the crossbar and out for a corner by England goalkeeper Ben Foster. England's backup players looked disjointed in the first half, giving the ball away easily and finding it difficult to break through Costa Rica's setup. Wilshere made a fine run down the left in the 12th, setting up Sturridge just outside the area, but the forward's curling shot just missed wide. Wayne Rooney came on as a substitute late in the second half and made an instant impact for England. He found space just outside Costa Rica's area in the 80th, but the backpedalling Costa Rica goalkeeper Keylor Navas was able to tip it over the bar and out for a corner. While England showed improvement in the second half, the team just couldn't find a way a through Costa Rica's rearguard. About 25 armed riot police with shields and batons formed a line behind stewards who were urging them to leave. Singing ''England Till We Die,'' the fans eventually left the stands peacefully. 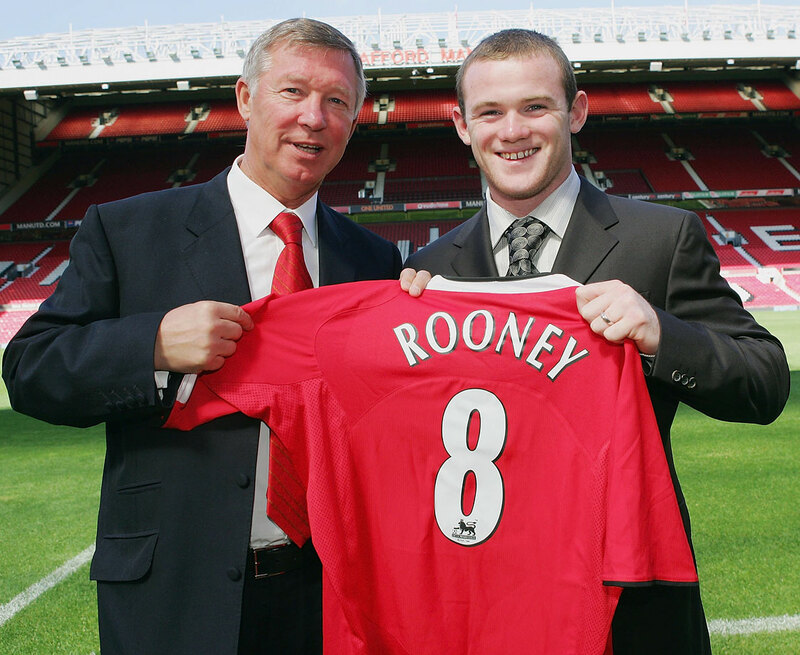 Wayne Rooney with Manchester United manager Sir Alex Ferguson pose together the day after the English striker signed with the club on Sept. 1, 2004. 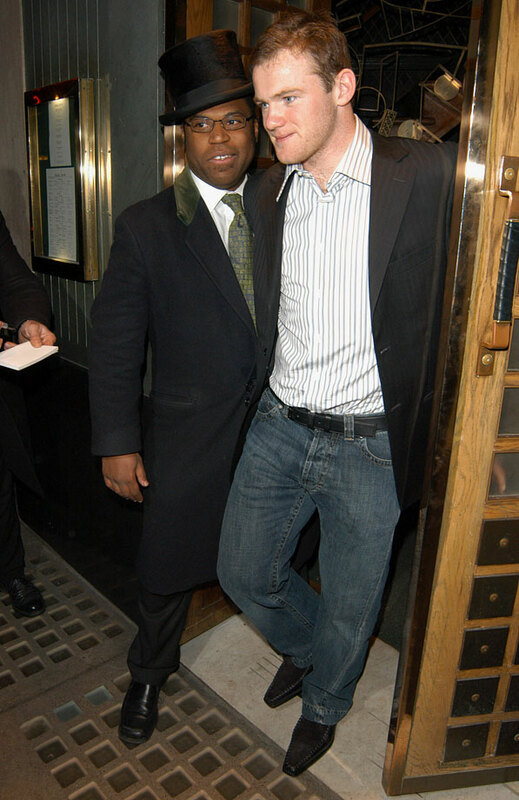 Wayne Rooney exits The Ivy Restaurant in London on March 12, 2005. 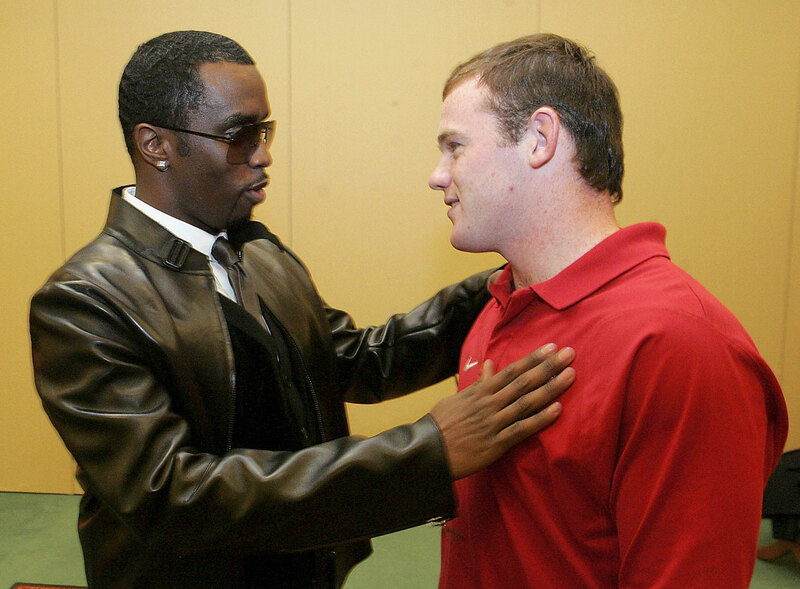 Rooney chats with Prince William before England's friendly against Jamaica on June 1, 2006. 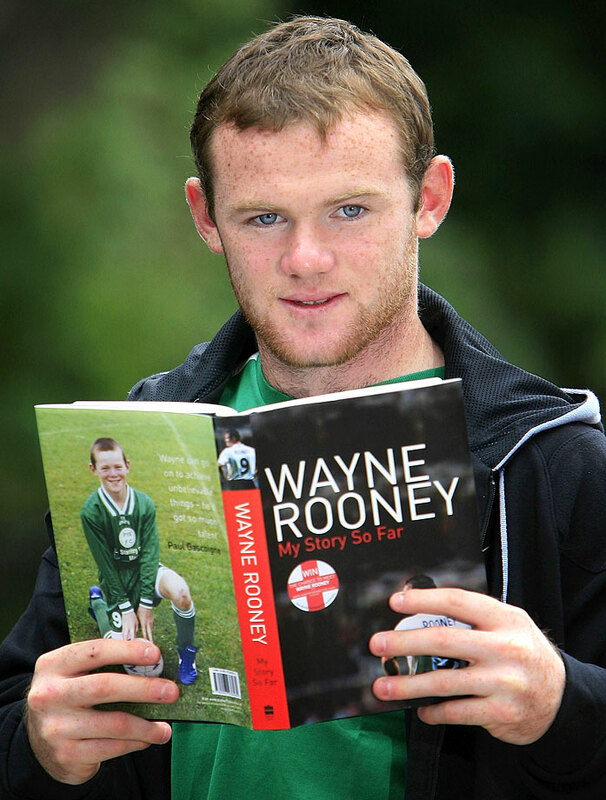 Rooney reads from his biography, Wayne Rooney: My Story So Far, at The Lowry Hotel on Aug. 10, 2006 in Manchester, England. Combs speaks with Rooney prior to an appearance at the MTV European Music Awards on Oct. 31, 2006 in Copenhagen, Denmark. 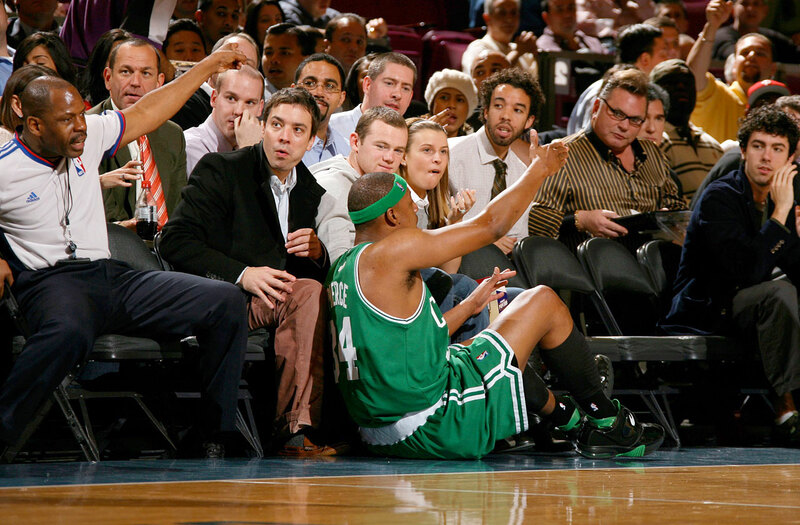 Paul Pierce falls on the floor near Jimmy Fallon, Wayne Rooney and his girlfriend Coleen McLoughlin during the Boston Celtics game against the New York Knicks at Madison Square Garden on Dec. 11, 2006 in New York City. 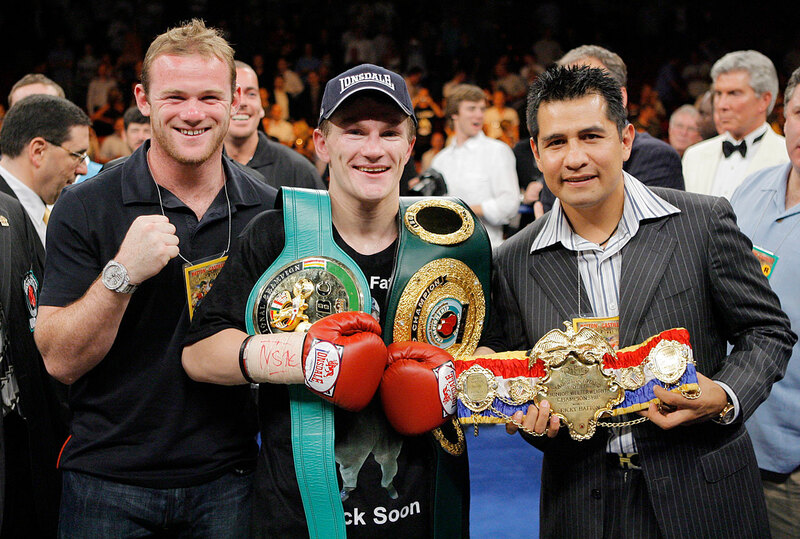 Rooney poses with Ricky Hatton and Marco Antonio Barrera after Hatton's victory over Jose Luis Castillo on June 23, 2007 in Las Vegas. 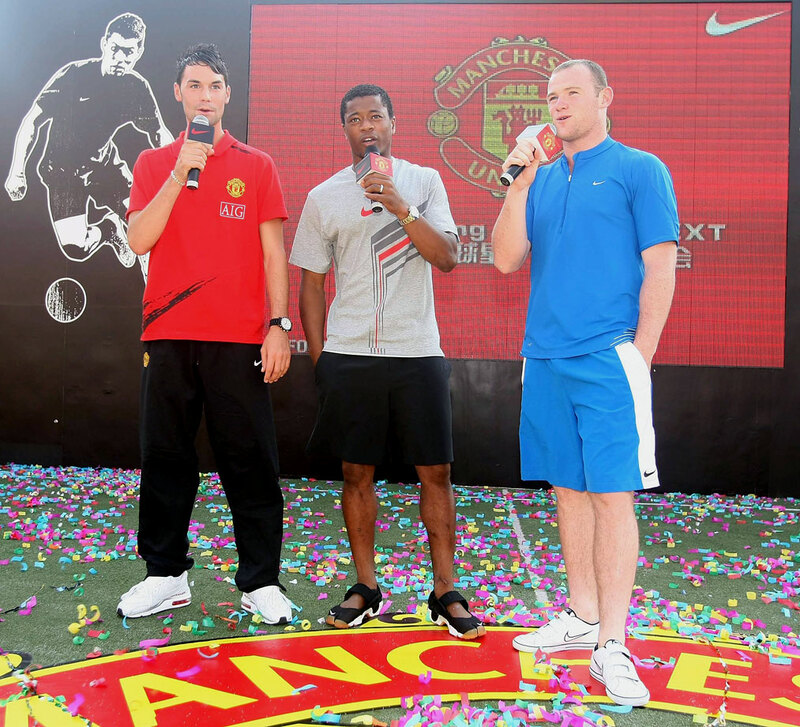 Eagles, Evra and Rooney of Manchester United attend an event to promote the new Nike Laser football boot on July 26, 2007 in Guangzhuo, China. 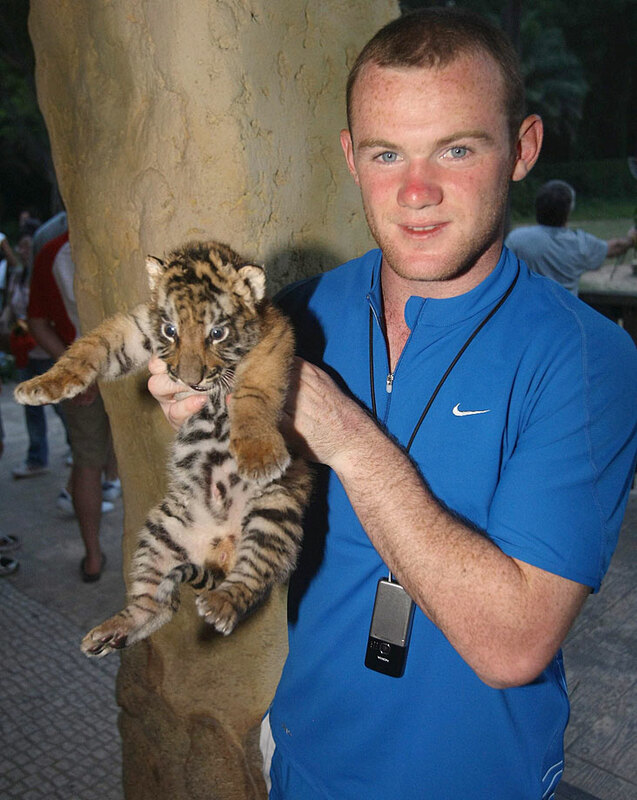 Rooney poses with a tiger cub during a visit to Chimelong Safari Park on July 26, 2007 in Guangzhuo, China. 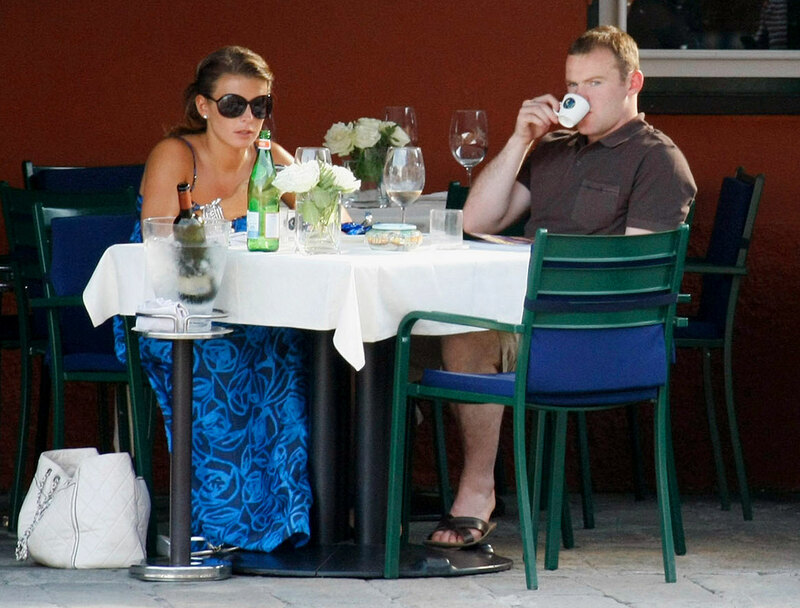 Rooney and fiancee Coleen eat at a restaurant in the main square of Portofino on June 9, 2008 during a trip to Italy. 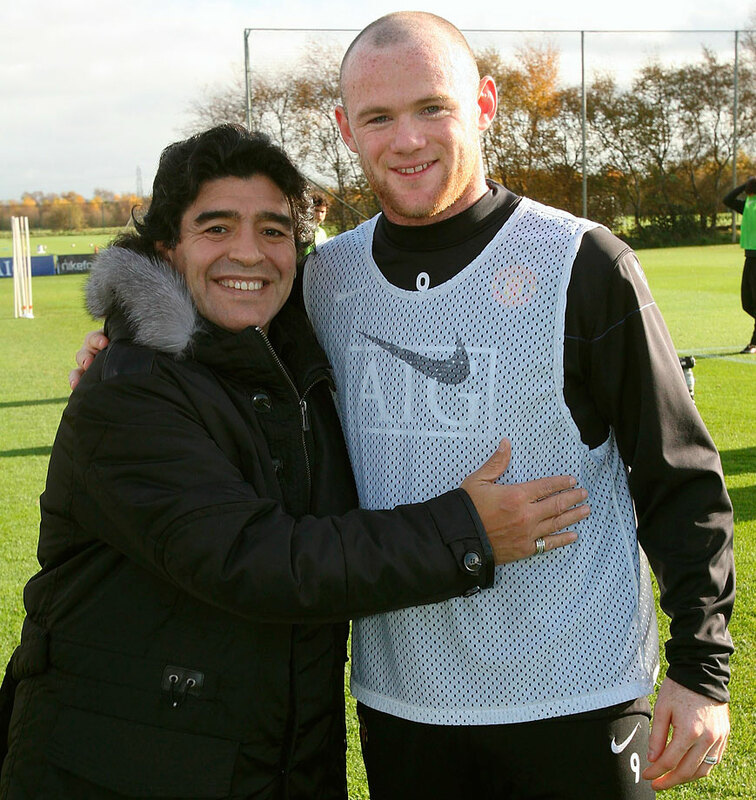 Rooney poses with Argentine national manager Diego Maradona at Carrington Training Ground on Nov. 7, 2008 in Manchester, England. 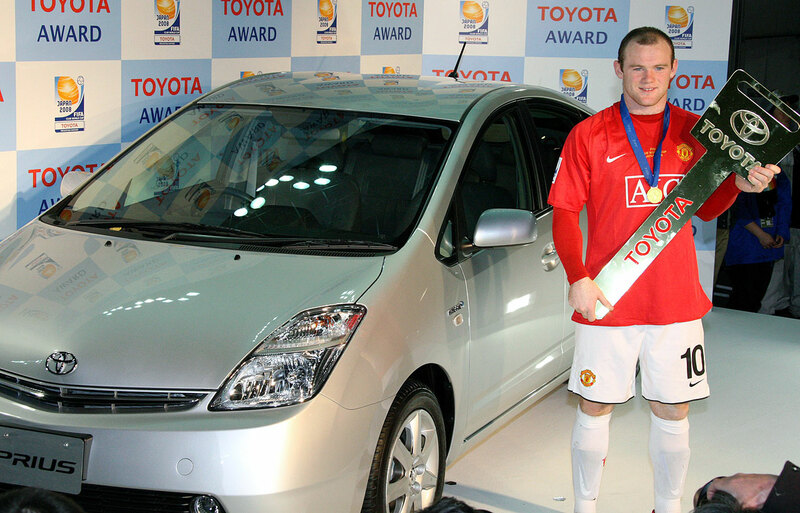 Rooney stands in front of a Toyota Prius as he won the MVP award and the hybrid car at the FIFA Club World Cup Soccer tournament in Yokohama near Tokyo on Dec. 21, 2008. 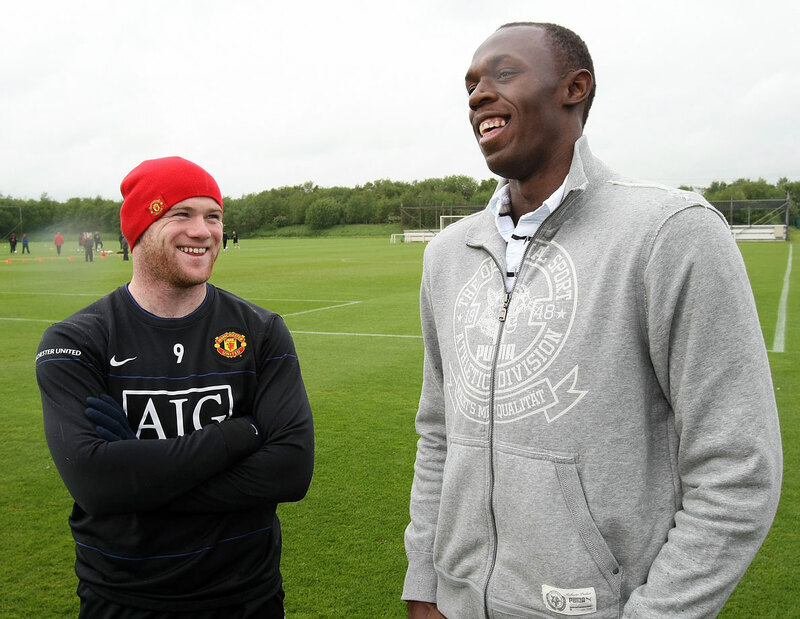 Rooney meets Olympic Champion Usain Bolt ahead of a First Team Training Session at Carrington Training Ground on May 15, 2009 in Manchester, England. 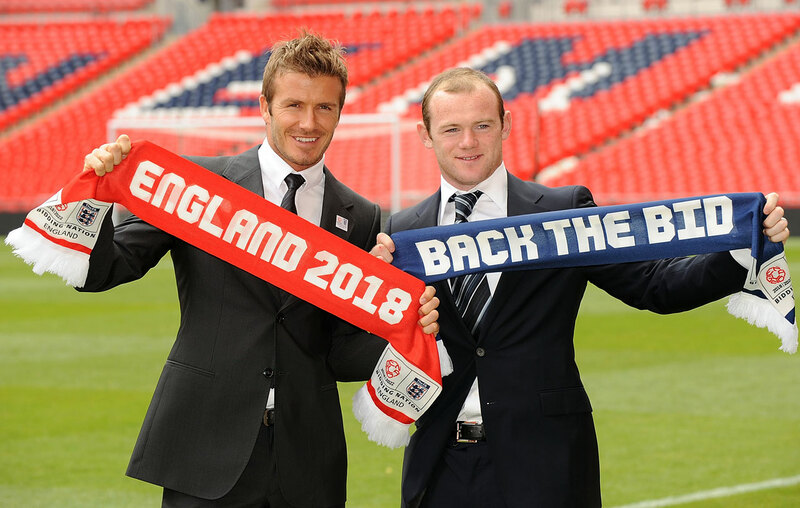 Beckham Rooney smile as they pose for the cameras with scarves to show their support for the England 2018 - 2022 World Cup Bid at Wembley Stadium on May 18, 2009 in London. Owen and Rooney of Manchester United pose with Isaac Eaton, Archie Eaton, Jacob Cohen and Szymon Cohen at the Royal Manchester Children's Hospital as part of the club's annual hospital visits on Dec. 23, 2009 in Manchester, England. The Manchester United squad celebrates in their dressing room after the Carling Cup Semi-Final Second Leg match between Manchester United and Manchester City at Old Trafford on Jan. 27, 2010 in Manchester, England. England Captain Rio Ferdinand was joined by Wayne Rooney and Ashley Cole on June 2, 2010 at the Nike "No More Talk" event in London, as they said their farewells to Football fans before departing for South Africa. 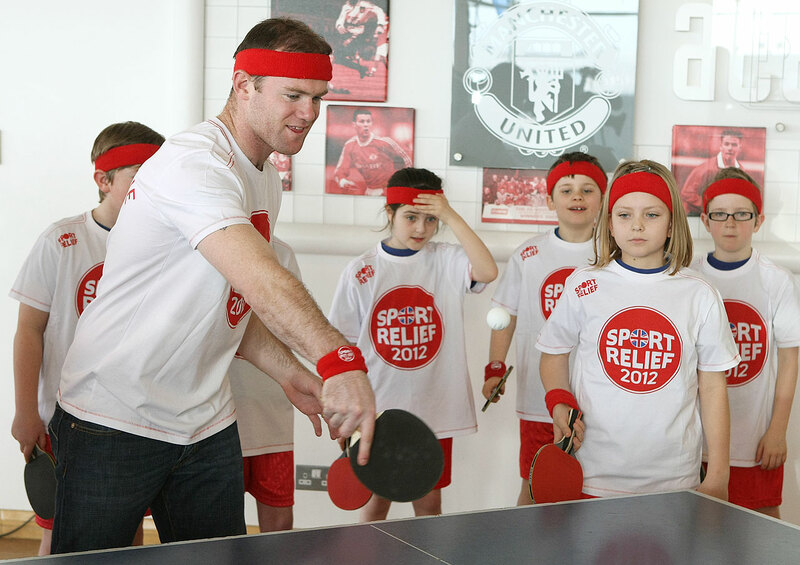 Rooney plays table tennis with local school children on behalf of Sports Relief at Carrington Training Ground on March 13, 2012 in Manchester, England. 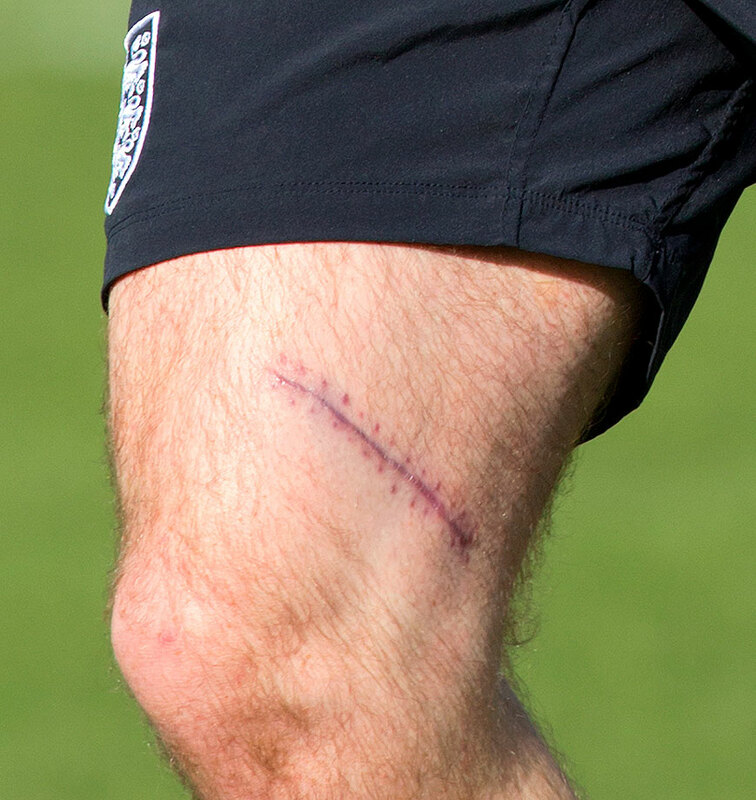 Rooney's surgery scar, following a recent injury, is seen on his right thigh as he takes part in an England team training session during the official launch of The Football Association's National Football Centre at St. George's Park on Oct. 9, 2012 in Burton, England. 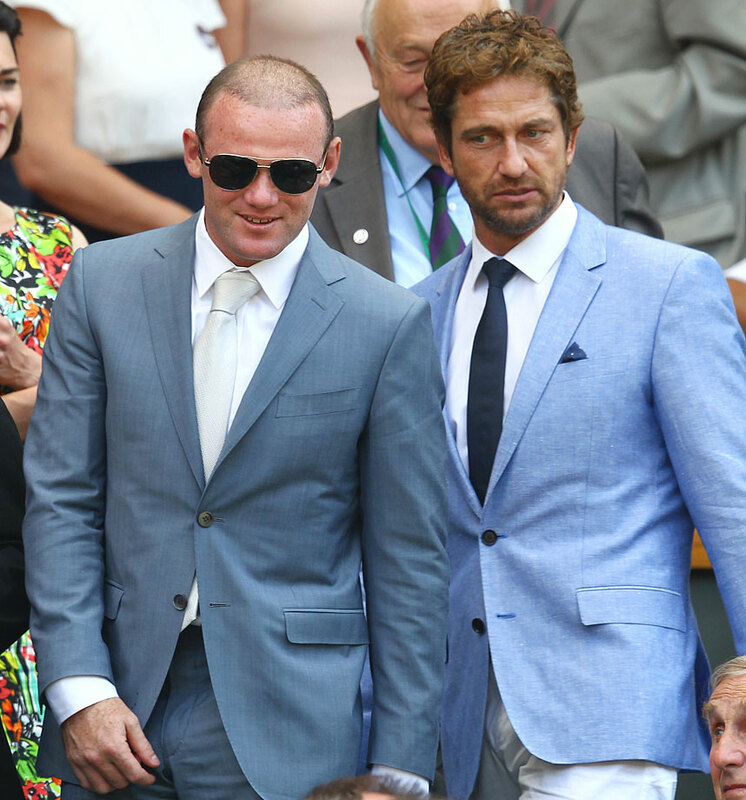 Rooney and Gerard Butler attend the Gentlemen's Singles Final match between Andy Murray of Great Britain and Novak Djokovic of Serbia on day thirteen of the Wimbledon Lawn Tennis Championships at the All England Lawn Tennis and Croquet Club on July 7, 2013 in London. 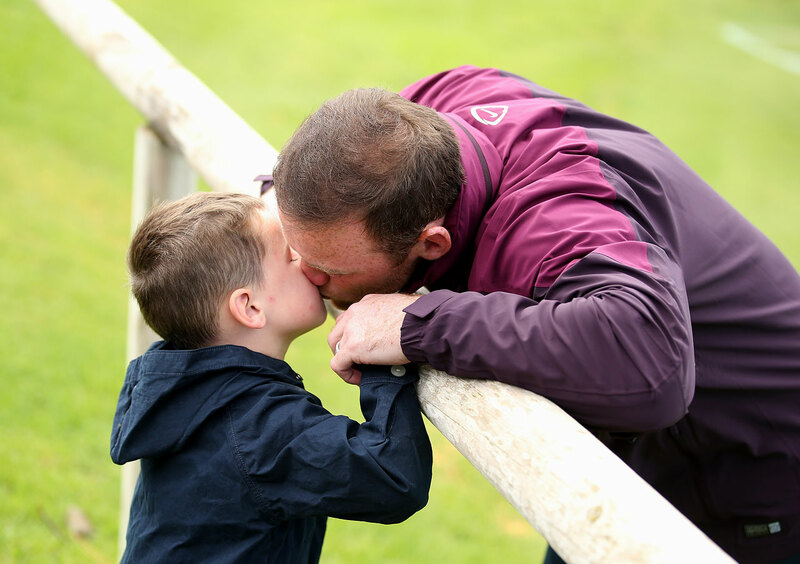 Wayne kisses his son Kai before a training session at the England pre-World Cup Training Camp at the Vale Do Lobo Resort on May 21, 2014 in Vale Do Lobo, Algarve, Portugal.